A fire started at a property that was, by code, not required to have an automatic fire alarm system. The structure also did not have a water-based fire suppression system. The building did have an intrusion detection system, though, and signals were received from that system, as well as video of a person within the premises. The local police department was called, as there was no indication at that time there was a fire, but it appeared there was an intruder present. It was later disclosed that a fire did break out within the building and an individual who was passing by heard the smoke alarm sounding and somehow gained entry to put out the blaze. In the end, the building sustained some minor damage from the fire and a busted front door. The owner of the business asked for a quote for a fire alarm system to be installed, and one was provided to him. In checking later on the proposal, the owner stated that instead of having an automatic fire alarm installed, he was instead installing a number of “smart smoke alarms” along with a number of web-based video cameras. Both of these products are available at any big-box retailer or home electronics stores. The design of the “system” is that the smart smoke alarms would send alerts indicating an alarm to his smartphone and/or tablet. He could then bring up a camera in the area and see if there was any smoke or flames and if so, contact the fire department through 911. Let that soak in for a minute or two. Such smoke alarms are intended for the most part for a residential occupancy and not a commercial location. To be certain, if they sense the products of combustion, they will activate and they will transmit a signal to designated smartphones or tablets. Their intent, however, is to alert people within the residence to get out, or to at least investigate the cause of the alarm. I don’t believe the intent was ever for the signal to be used by an offsite smartphone to activate remote cameras within the premises to perform a smoke and fire investigation. This is an issue with the new technology that can now be purchased, either online or at a brick-and-mortar location. Most consumers have never heard of NPFA 72, “National Fire Alarm and Signaling Code,” or are aware of the requirements that are within the adopted fire code of their area. I am not aware of such a “system” being described within any of these documents. Now, these documents do need to address advances in technology, the Internet of Things and the new ways that the world is connected. However, we also need to take a look at how all of these new realities work together and can still achieve a reliable system. Will the wireless routers within the premises be available to transmit the alarm signal out? Will they be provided with at least 24 hours of standby power? Will the same wireless routers within the premises be able to send out the video images? Will the cameras be in the right position to view either smoke or flame, and then recognize it on their remote device? Will the user of the system be available to receive this information as it is occurring, or will they be offline? Will they be within an area so that when 911 is called, they are speaking to a local PSAP, or will they be across the nation or even in another country when an event occurs? I could go on with this, but my point is that using all of the technology that is available today or tomorrow may not be the best solution if used as not originally intended. There is a reason that over the many editions of NFPA 72 provisions were made for the reliability of standby power and for the transmission of the signal being sent from the protected premises to a monitoring station, be it a supervising station or a municipal dispatch facility. I simply do not think that we are quite to the point of stating that a “system” as described within this article meets the intent of NFPA 72. 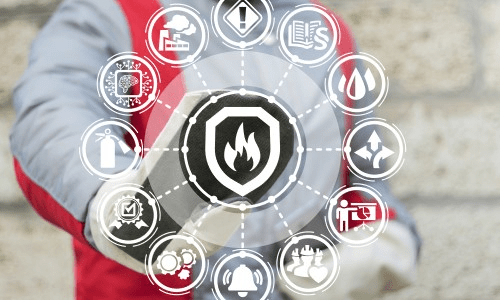 The Technical Committees on Fundamentals, Protected Premises Fire Alarm Systems, Supervising Station Alarm Systems and Household Fire Alarm Systems need to review the current requirements and make changes required so as to allow these new technologies to be implemented in a reliable manner.